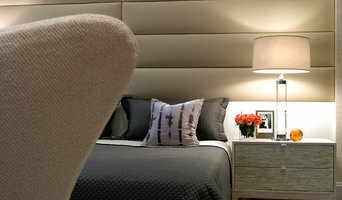 We are high end , detail oriented full service home remodeling company. 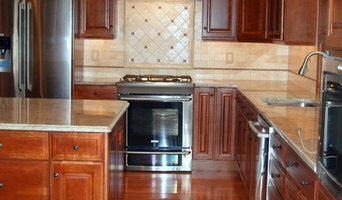 Specializing in Custom Additions, Kitchen Remodeling, Bathroom Remodeling and Basement Finishing. KC Quality Contracting is a Local Business Specializing in providing superior Home Improvement & Renovation Services in the Tristate Area. Our proffesional team of Designers, Carpenters, & Painters is ready to take on the project you have in mind! With years of experience in the construction industry, we can promise that our vendors provide only the finest materials at minimal cost. Material price plays a big role in the total cost of your project. Our savings keep us very competetive & are past on to you as the customer; allowing you to do more for your money. We are proud to say that our company is family operated. Mistakes tend to happen during construction & they are often related to poor communication. Working with the people we shared our childhood with, ensures proper communication is made, & your project is complete by requested date or promised completion date; with minimal to no error along the way. 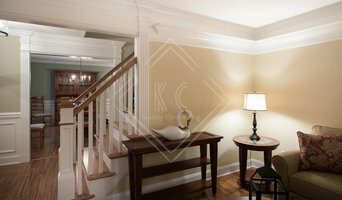 You can expect the highest quality & respect from anyone that works at KC Quality Contracting. After all, they aren’t just employees; they’re family. Established in 1980, Phillip Johnson Construction (PJC) has been renovating and rebuilding Center City Philadelphia for almost four decades. In that time, PJC has had the privilege of collaborating with some of the finest architects, designers and craftsman on the East Coast. 37 years in business have allowed our company and crew to develop an expertise in high-end residential construction, along with historical restoration and reconstruction. Phillip Johnson Construction is honored and proud to have worked in many of Center City Philadelphia's finest homes. Building/Remodeling firm specializing in Additions, Kitchens, Bathrooms, Finished Basements and Custom Homes. We also offer a full range of exterior services including Roofing, Siding, replacement Window and Door installations. 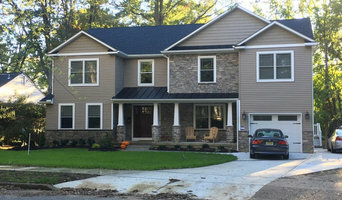 Samuels Construction is a licensed New Jersey general contractor specializing in new home construction, home remodeling and small commercial construction projects for clients in Mercer County. We provide each client with high quality construction and superior customer service. Assurance Construction LLC. is a Philadelphia design and construction firm founded in 2008 by Preston G. Still, Jr. and Yizhar Gilady. Preston's mechanical skill and Yizhar’s creative intelligence take our client’s spaces to the next level. We pride ourselves on communicating with our clients to find the perfect balance of aesthetics and functionality. We work with you to create new and exciting spaces. By listening to your needs and thoroughly understanding your space, together we can create fabulous, functional, timeless results. Graham Builders and Construction Company prides itself on Quality, Efficiency and Professionalism. I'm a licensed and insured General Contractor in the city of Philadelphia, The State of Pennsylvania as well as New Jersey. My company only work with licensed and insured sub contractors. Graham Builders and Construction Company focuses on residential as well as the commercial sector. We build custom new homes, do complete rehabilitation, additions, high end finish work, as well as concrete and stamped concrete. I have a crew of 5 experienced hard-working men, no job is too big. I have over 20 years of experience working in the commercial and residential sector in the construction world. I have also been a successful and established professional artist for the past 20 years as well, I've recently went back to school to earn my Masters Degree in Fine Art. To get a more in-depth insight into my background as an artist, please view my artist website at www.TimmyGraham.com. I've combined my 'Art Background' with my 'Construction Background' and recently started a 'General Contractor Business' in 2016. Combining these two passions/entities in my life is what separates me from other practicing General Contractors. Along with taking great pride in creating a solid foundation for a home, I take great pride in the details as well. My motto is, "You Dream It, I Will Build It'. For an estimate, feel free to contact me at 609-332-6704. I.M. 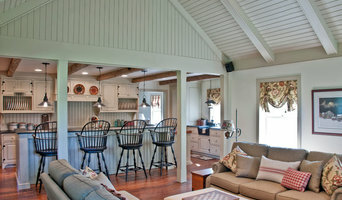 Contracting, Ltd. (IMC) is Chester County’s elite design-build residential remodeling company. As long time West Chester residents, we take pride in providing our community with top of the line work at a fair price. IMC has the capability of handling the most comprehensive remodeling projects, while continuing to respond to your smallest needs. Our slogan, “It’s in the details”, guides us through every step of each project we undertake. Having many years of remodeling experience, in all phases of the construction industry, enables IMC to provide its clients with the necessary knowledge and craftsmanship to insure all of our projects are completed in a smooth manner while obtaining exceptional results. With 20+ years of General Contracting experience, Tim and his crew at All Inclusive Construction can do any job you require without sacrificing quality. From masonry to decking, landscapes to hardscapes, plumbing to electrical, and sheetrock to painting, we've got you covered! 3D design and layout services, 3D Construction modeling, Schematic drawings and layouts, Construction and Design services for all residential and light commercial projects, Structural repairs... Whether it's a Custom Built Home, Entire Remodeling Project, or a Simple Repair, you can rely on our professional service. The Hellings family homebuilding business has been committed to building and remodeling the areas finest homes and communities for almost two decades. Our established relationships with the areas best vendors, suppliers, and subcontractors ensure that that commitment is brought to each and every home we build or remodel. Starting with the early design stages to extensive material and color selections and all the way through the construction of your home, we are proud to offer an unparalleled level of personal attention to our customers. Exciting and innovative architectural designs combined with the confidence that comes from buying from one of the area’s most reputable builders makes Hellings Builders the clear choice for the discriminating home owner. A company is only as good as the people who serve you. At Hellings we have the people and the equipment to get the job done right. We guarantee our work and we don't cut corners. Every project, large and small, is given first class attention to detail by our staff and field personnel. At Falasca Home Remodeling, LLC, our goal is to not only help you design and build your dream home, but to make the process easy and enjoyable for you. We are a full-service design/build company with a wide range of experience. We can help you with all phases of new home construction or remodeling: finding/procuring suitable land, architecture and design, building your home and landscaping your yard. Our excellent reputation and long list of satisfied clients attest to our superior craftsmanship, attention to detail, clear communication, honesty, and integrity. Just ask for our client reference list.